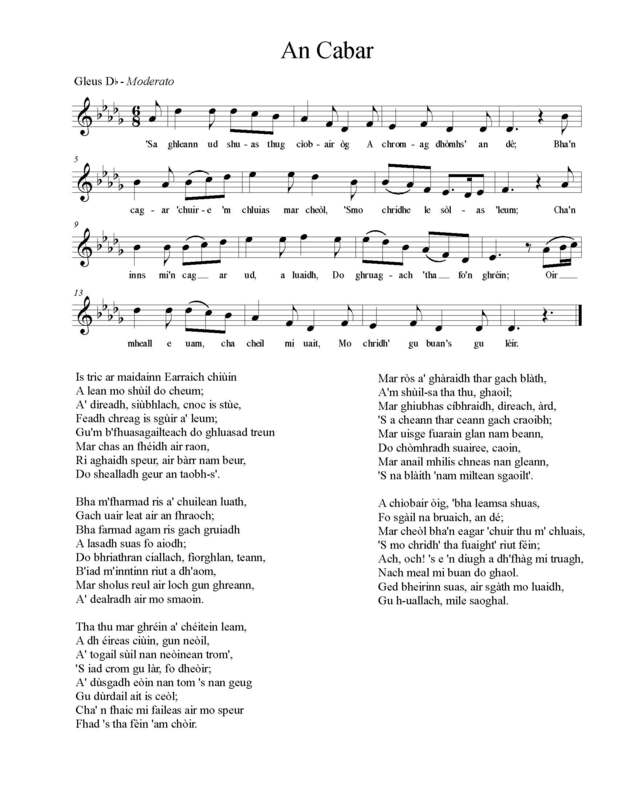 At the forthcoming Mòd in Glasgow there is to be a competition in the singing of the songs of Lorn. For this the Oban and Lorn Association have offered special prizes and have, we understand, limited the number of songs to six. The following “An Cagar” is one of the competitive pieces, the words of which are by K. W. G., the melody being in the old two-strain style. An esteemed correspondent, who has forwarded to us several of the songs of Lorn, has suggested that an interesting collection might be made, and that in view of this any of our readers who may be acquainted with deserving songs, might assist by sending in copies of them for a place in the collection.